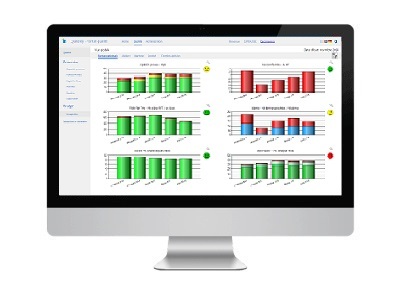 Qual@xy Dashboard brings together manufacturing data from all our shop floor software into one central dashboard. 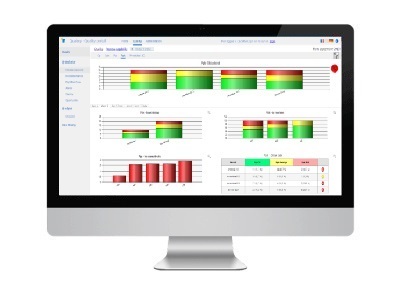 The concept is simple: A single tool for analyzing, visualizing and reporting key shop floor performance data for the complete enterprise at any level – from global business to low level product and process analysis. Qual@xy a visual tool. Clear color coded icons, charts and tables display whether targets are being met, and if not, where attention is needed. Users can define their own personal homepage and report templates to display only the information of interest. Qual@xy Dashboard is 100% focused on supporting your continuous improvement activities. 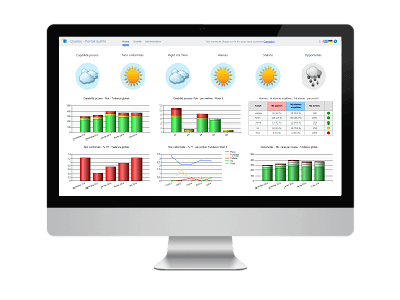 Instantly see the performance of different business units, processes, machines and products. 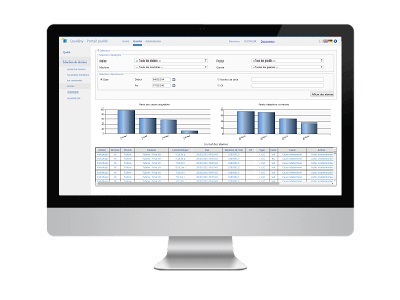 Qual@xy automatically identifies and prioritizes where improvements are needed and drill down functions allow you to quickly navigate from high level business reporting to low level detailed analysis drastically reducing manual analysis time. The other key aspect of Qual@xy Dashboard is historical data mining which allows you to quickly retrieve raw data and detailed reports for production batches and serialized products. Qual@xy Dashboard provides key data for many people within an organization ranging from business managers to process specialists. Therefore, in addition to coming as part of the standard SPC Vision and Check’n Go packages, it is available as a stand-alone web application. This provides a cost effective solution to increase the number of business users who will benefit from the dashboard features. Key to SPC Visions success and often praised by our clients is the shop floor user interface.